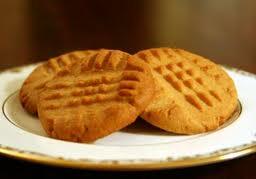 I’m making my famous peanut butter cookies tonight for the party…thought I’d share moments of sweetness and happiness. I use an organic peanut butter that doesn’t have any added sugar to amp up the peanuts without the sweet; I also tend to incorporate different types of peanuts (candied, roasted) into the batches. Want something really great? Try adding M & M’s or chocolate chips as your heart’s desire. 1/2 cup butter, room temperature. Let it sit out for a few hours to soften. Don’t sub margarine – and unsalted works well if you’re watching sodium. 1 Beat the butter until creamy, 2 minutes. Add the sugars, beat for 2 more minutes. Mix in the peanut butter and egg. Mix together the dry ingredients – flour, baking soda, baking powder and salt. Stir the dry ingredients into the sugar butter mixture. 2 Wrap dough in plastic and refrigerate at least 3 hours. 3 Preheat oven to 375°F. Shape dough into 1 1/4 inch balls. Place about 3 inches apart on ungreased cookie sheet. Flatten in crisscross pattern with a fork. Bake until light brown, 9 to 10 minutes. Cool on baking sheets for a minute; transfer to rack to cool completely. For chewier cookies, bake at 300°F for 15 minutes. Yield: Makes about 2 dozen cookies.